Last Monday I looked at 'Watermelon' by Ed Rush & Optical and mentioned that it supposedly samples 'Watermelon Man' by Herbie Hancock, although exactly what is unclear. Well here's a tune that definitely does, using the flute-like sounds from the beginning and the end of the track for the intro. The sound is actually Bill Summers blowing into beer bottles to imitate hindewhu, a style of singing/whistle-playing perfomed by the BaBenzélé pygmies of the Central African Republic. Over this Foul Play bring in echoed percussion, 808 bass and a take on the 'Hot Pants' break before introducing a woodblock melody. The track is very percussive and rhythmically complex with some heavy use of pitchshifting. In the mid-section warm synths and jazzy keys are brought in with a "Flyin' high in the friendly skies, feels so good sometimes it makes me cry" female vocal sampled from Chanté Moore's soulful 'Love's Taken Over', which makes for a nice contrast to the rest of the track. You can purchase 'Cuttin' Loose' over at Beatport. 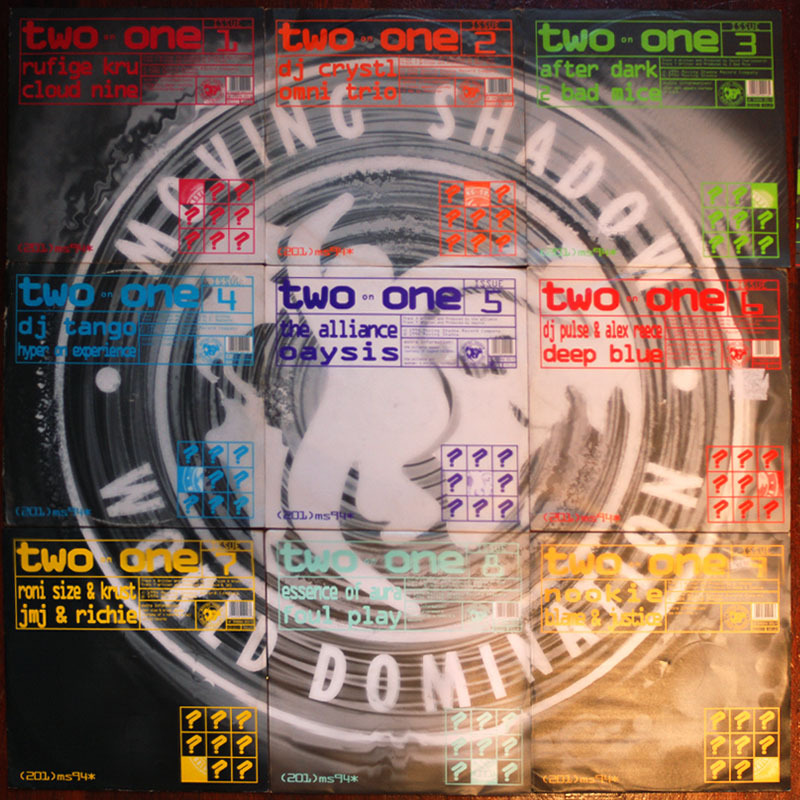 It was released on Issue 8 of the Two On One series, nine 12"s featuring a different artist on each side with covers which put together form an image of the Moving Shadow logo. 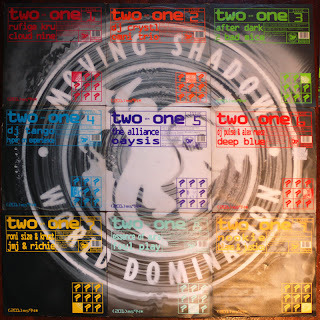 Unfortunately I only own two of the series, this one and Issue 2 - DJ Crystl/Omni Trio, but a few lucky people have the complete set as you can see in the photo below.